Beyond the majestic skyline of Downtown, you’ll find the heart of Jacksonville lies within our diverse neighborhoods. You’ll find quaint riverfront streets lined with boutiques, funky shopping and dining districts, live music venues, sidewalk cafes and sleepy surfer towns. No matter where you venture, you’ll find Jacksonville’s unique brand of Southern hospitality and charm. Explore the diverse neighborhoods that make up the city. Explore Jacksonville to the fullest by checking out our neighborhoods. Every neighborhood offers a different opportunity for you to immerse yourself in our local culture. Relax on the miles of white sandy beaches, shop and dine in unique districts, picnic or hike in the neighborhood parks, or tap into the bustling culture of Downtown. One of the best parts of Jacksonville is that within just minutes you can travel to a new and exciting area. We’ve got the hip urban spots, but we can also boast our breathtaking, totally undeveloped natural landscape – a true paradise for exploring, camping, and water activities. No matter where you venture, you’ll find Jacksonville’s unique brand of Southern hospitality and charm. Choose a neighborhood or two and get out and experience it. We know you’ll be impressed! 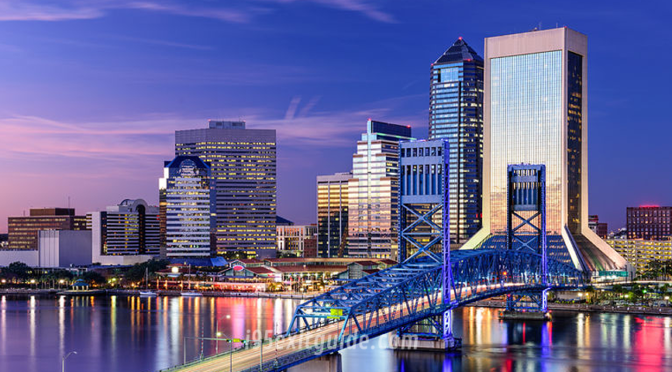 Visit www.visitjacksonville.com below for more information on Jacksonville, Florida!